If you follow our Instagram, you might have probably noticed that we went to Bali earlier this month to join the opening event of RivaReno Gelato Bali! We were very excited to be there as both of us are huge fans of (authentic Italian) gelato and although we had never tried RivaReno's gelato before, we have to say that we had high expectation trying the Italy's Best Gelato! 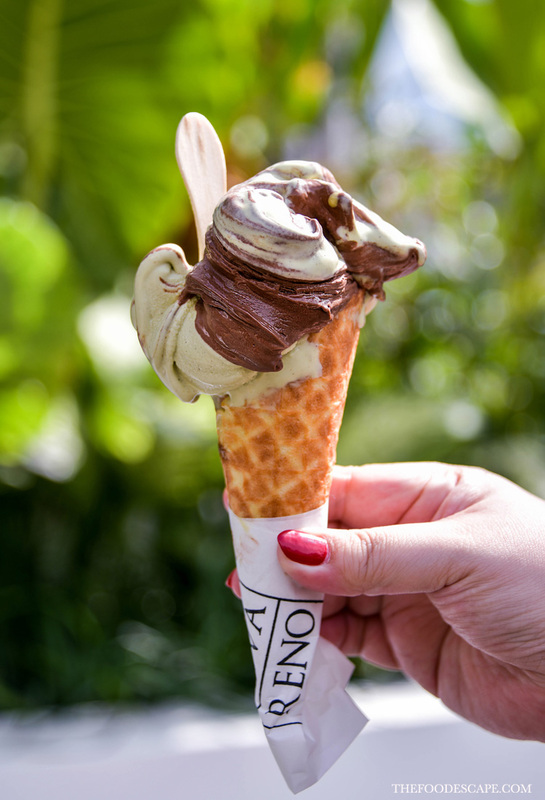 RivaReno Gelato now in Bali - Deadly combination of Cremino Dark & Pistacchio Gelato!